Capt. Elmer William Baller, USN Ret., 82, died February 8, 2017 in Edinburgh, Texas from acute leukemia. He was born July 25, 1934 in Belknap to William and Florence Baller. He enlisted in the United States Navy August 21, 1952. 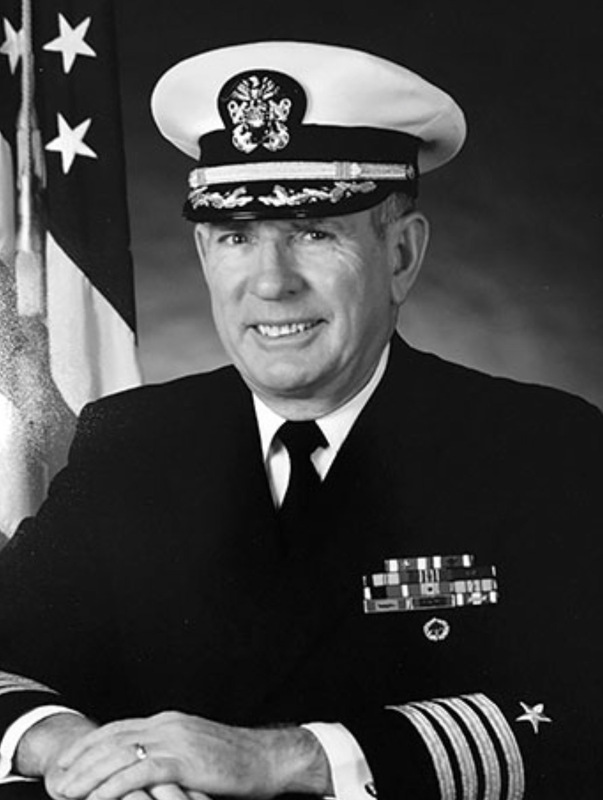 After 12 years enlisted status, he was commissioned March 1, 1965, becoming a Navy “Mustang.” He went on to serve three tours in Vietnam and many varied duty assignments ultimately advancing to the rank of captain (O-6). After 40 years of service Capt. Baller retired with the United States Navy in 1992. His last duty station was the defense nuclear agency in Alexandria, Virginia as director for command services providing support in military/civilian personnel, manpower, logistics, engineering, technical information, intelligence and security and exchanging atomic information with NATO (National Atlantic Treaty Organization) countries. He was a decorated veteran receiving numerous awards and medals throughout his career, including the Defense Superior Service Medal; Meritorious Service Medal (2); Navy Commendation Medal with “V” (valor); Combat Action ribbon; Meritorious Unit Commendation(2); Good Conduct Medal (3); Navy Occupation Medal (Europe); National Defense Service Medal with three Bronze Stars; Vietnam Service Medal with five stars; Vietnam Campaign Medal; Republic of Vietnam Armed Forces Unit citation (gallantry cross); and Republic of Vietnam Civil Action Unit citation. Capt. Baller was a member of the following: Disabled Veterans Association, Veterans of Foreign Wars (VFW), the American Legion, Navy Mustang Association and the USS Saint Paul Association. He served as a former Michigan VFW state legislative chairman and District 13 commander. Outside of his military service, Capt. Baller enjoyed being a multi-engine, instrument rated private pilot, traveling, riding motorcycles and drinking Miller Lite. He spent many summers joyfully driving his pontoon boat for his loving grandchildren, despite the fact that he could not swim. He spent hours in the wood shop crafting beautiful pieces for the yachts he owned and lived on. He claimed he did not need the digit he cut off in a woodworking accident, in fact, he enjoyed showing off his shortened middle finger. His late life routine included a daily nap, can of beer and Western movie, around 4 p.m. In the last several years, Capt. Baller had received his real estate license and enjoyed spending time talking to people. He was an excellent dancer and shared 35 adventure-filled, loving and dedicated years with his wife and soul mate, Patsy. Capt. Baller is survived by three daughters, Terri and Dori Carlson of California, and Sherri Leyden of West Virginia; two sons, Michael Bailey of Maryland and David Kelly of Ohio; four sisters, Wanda Crooks, Bonnie Hincka, Sandra Marshall and Bernadine Hincka of Posen. He was preceded in death by two brothers, Kenny and Mark Baller. He leaves behind his loving wife Patsy. Capt. Baller will be interned at the Arlington National Cemetery. Condolences can be sent to: http://www.kreidlerfuneralhome.com/.